On the basis of economic, social ethnic and cultural grounds, our population forms a non­homogeneous mass. The binding factor, of course, is the deep rooted Islamic values. Any education, including medical which ignores this fact will be misfit in the present context. Even though co­education is considered un-desirable in Islamic society like ours, there is no medical dental college in Karachi catering specifically to the needs of women who form about 50% of the population of our country. Honesty of purpose is inherent in our aim to establish this institute of quality that will play a role in imparting medical & dental education of international standard to all deserving members of the female population of our country. There is no doubt a dire necessity for female medical institution in Karachi City, where deserving students will get the opportunity of acquiring quality medical & dental education that will serve not simply as a source of income but will give them the capability of serving their fellow human beings and their country. The authors of this curriculum, on the basis of their extensive experience of teaching medicine, have found that the prevalent system does not prepare students for the challenge that lies ahead. Students are unaware of the purpose and scope of their education, of its implications on their life and career, and of the options available to them. As a result many graduates waste several years to settle in professional careers. This curriculum ensures that graduates are adequately trained to pursue their careers right away as general practitioners or as specialists in their field of choice. The College arranges house jobs to the students who successfully qualify M.B.B.S. and BDS courses in the attached hospitals i.e. Sir Syed Hospital and Dental Hospital. The house jobs offered by the college are recognized by the PM & DC. The traditional lecture system is used to introduce a subject and discuss the broad concepts in that specific field of study. Interactive lectures to smaller groups remain an effective and essential way of teaching. More recent methods of learning and teaching, such as case-based learning and small group-based problem-solving sessions are also employed in line with the international standards. Theoretical and practical knowledge is supplemented by field visits and clinical case presentation to provide students with essential hands-on experience basic sciences and clinical practice. The college regularly organizes seminars where groups of students are encouraged to independently present topics of general interest before a larger audience. This encourages students to read bey ond their textbooks and learn how to support their knowledge with research. The college offers remedial program for students who face difficulties in learning or show deficiencies in their academic performance. These programs consist on topics already covered or currently being taught. Upon evaluation, any particular area is reinforced in the remedial program. 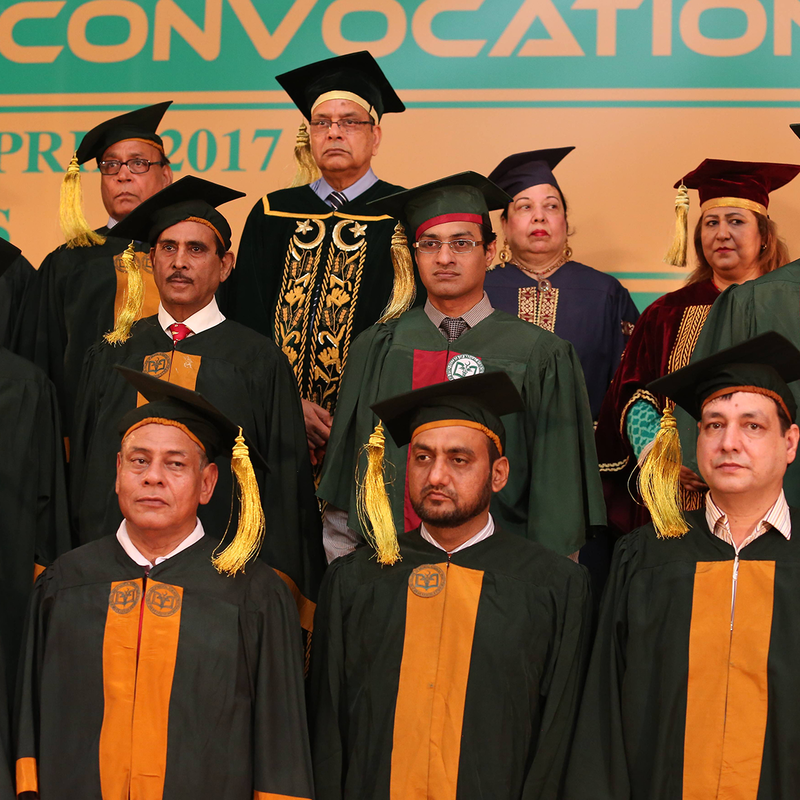 Sir Syed College of Medical Sciences is committed to provide the kind of environment and training that would enable professionals to successfully contribute to the improvement of the health sector, particularly in low income communities under the Community - Oriented Medical Education Program. The college involves its students in research -developing work in these designated communities. Students are encouraged to participate in the preventive and curative care and management of patients and their families in Primary Health Care field settings.